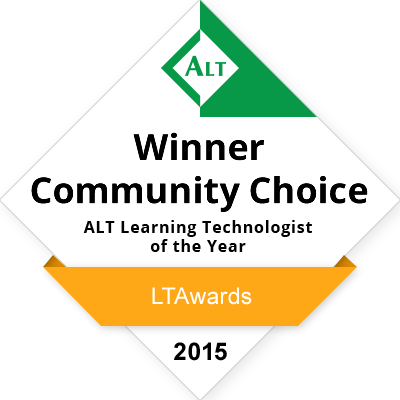 An RLO is a Reusable Learning Object. They are small, ‘bite-sized’ chunks of e-learning that focus on a topic area of a broader subject area (e.g. Chest X-ray). 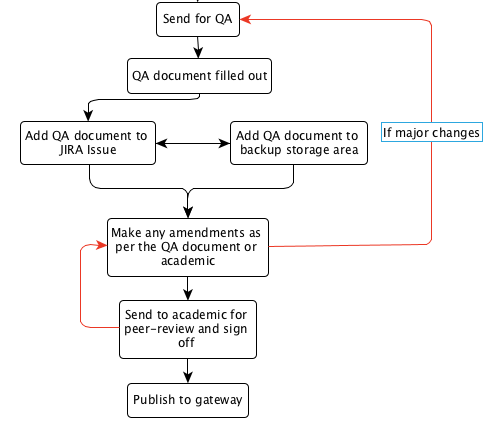 Below is the workflow for the development state of an RLO. Note, that there are two separate paths of the development stage. 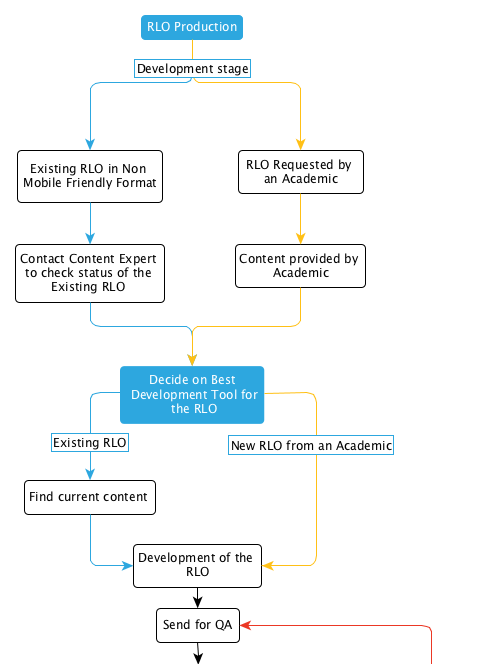 The left path is for the redevelopment of an existing RLO that is now potentially out of date and in a non-mobile friendly format. These will more than likely not have any learning outcomes or a quiz/test. The right path is for an RLO that has been specifically requested by an academic. Quality Assurance (QA) of the RLOs we produce is paramount to the students for them to get the most out of them. So, when an RLO has been developed, a second person will look through it (usually someone else in TELMeD as well as an academic) to see whether everything is working and correct. All content is carefully checked including web links to external sites and clickable menu items to interactive elements like quizzes/tests and videos. 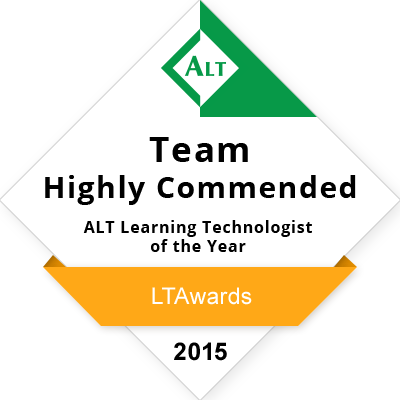 The RLO is also checked on both desktop and mobile devices via multiple web browsers to check compatibility before it can be signed off and published for students to use. While we are experts in making RLOs, we are by no means medical or dental experts. That is why we have the finished RLO peer-reviewed by the academic who is the lead in the RLOs subject area for final sign-off. This way, we can ensure any information in the RLO is correct and that if it is an update to an already existing RLO, that it’s up to date and relevant at the present time.